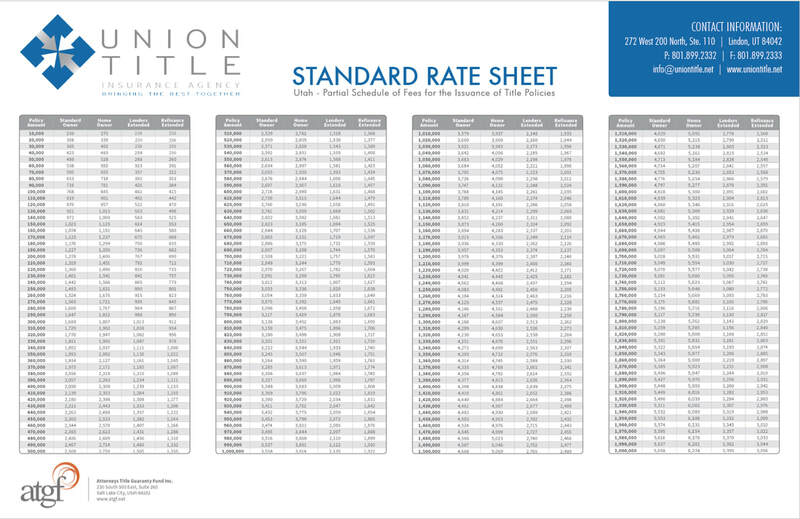 UNION TITLE INSURANCE AGENCY provides this Quick Reference Title Insurance Rate Schedule as general information only. It is subject to rate changes, credits and discounts that may not be reflected. For information on discounts and additional services, please contact us or call 801.899.2332.